Christopher O’Sullivan, CLM of the Boston Chapter proposed a challenge to all ALA chapters to step up and show support for those impacted by the devastation of Hurricane/Tropical Storm Harvey by donating $5 per chapter member to the Red Cross. The Arkansas Chapter proudly joined dozens of other chapters nationwide in accepting the challenge. Our chapter and our individual members are collectively donating $450 and, in just two days, the total donations from ALA chapters topped $22,000! The outpouring of support throughout the ALA family is truly inspiring! Our association has so many wonderful and generous members who are not only leaders in the business of law but also leaders in our communities - it is one thing that makes our association extraordinary! As of September 5, the ALA community has pledged to donate tens of thousands of dollars to the Red Cross and other organizations. The Arkansas Chapter sponsored a booth at the 2017 Arkansas Bar Association Annual Meeting to promote its relevancy and importance to the legal industry. ALA is the undisputed leader for the business of law; we educated attorneys and vendors about our organization so their legal management team and administrators can learn more about the many resources, networking, and educational opportunities we provide. Every second Wednesday of the month, ALA hosts a lunch meeting in Little Rock and via video conference to other Arkansas locations. This informative meeting brings legal administrators together for intensive learning, networking, idea sharing and camaraderie, as well as opportunities for face-to-face meetings with industry experts and peers. If you are a legal administrator and interested in attending one of these lunch meetings, please contact Connie Straw for more information. 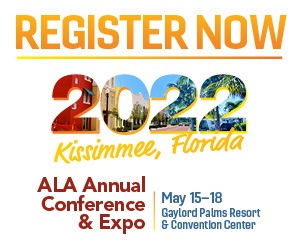 Click here for more educational opportunities offered to ALA members. ALA's Legal Link is an electronic newsletter published quarterly and distributed exclusively to ALA members and its business partners. Legal Link reflects ALA's commitment to provide networking, education, and support to legal management professionals of the Arkansas Chapter. If you are interested in receiving the newsletter via e-mail, please contact the Newsletter Editor, .